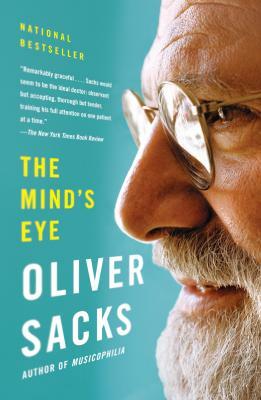 With compassion and insight, Dr. Oliver Sacks again illuminates the mysteries of the brain by introducing us to some remarkable characters, including Pat, who remains a vivacious communicator despite the stroke that deprives her of speech, and Howard, a novelist who loses the ability to read. Sacks investigates those who can see perfectly well but are unable to recognize faces, even those of their own children. He describes totally blind people who navigate by touch and smell; and others who, ironically, become hyper-visual. Finally, he recounts his own battle with an eye tumor and the strange visual symptoms it caused. As he has done in classics like The Man Who Mistook his Wife for a Hat and Awakenings, Dr. Sacks shows us that medicine is both an art and a science, and that our ability to imagine what it is to see with another person's mind is what makes us truly human.